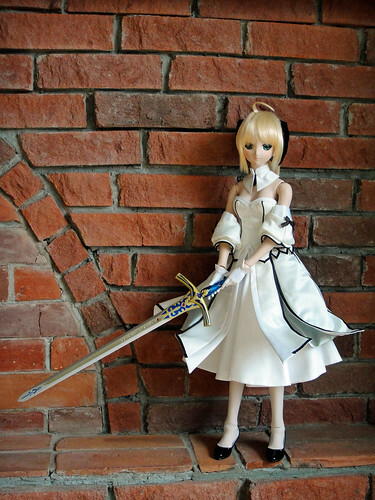 Saber Lily Dollfie Dream makes it home! Most of you know that Kev and I went on a shopping trip to Tokyo in January. We were able to fill lots of gaps in our collection, and unintentionally started collecting figures from a couple of new fandoms as well. Most of these new things will be staying in their boxes until we renovate the house and add some more display cases but the main new addition to our life is the Dollfie Dream Saber Lily. She arrived today and here are some photos of her Box Opening. Here is the box, freshly opened. 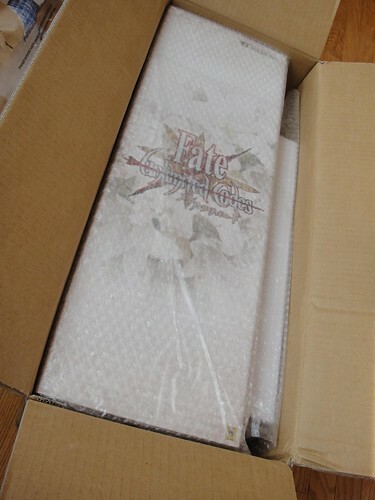 Saber Lily’s box is huge! 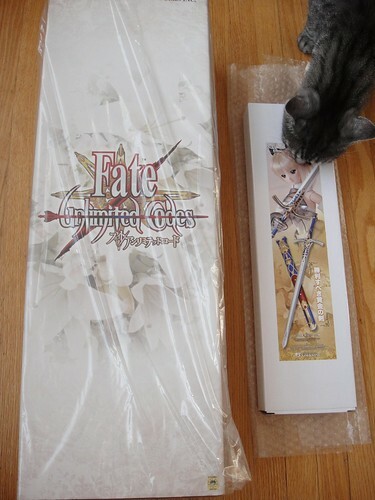 The skinny little thing on the side is the box for her sword. Here’s my cat, Charlie, checking out the contents of the box. It gives you an idea of scale to see his head next to the box. This is my first Dollfie Dream so I’m not accustomed to how they are packaged. I’m used to the pomp, circumstance and care that resin BJD’s are given in packaging, so to see the doll wrapped in bubble wrap was a bit surprising to me! I was expecting pillows, tissue, layers of foam, etc. Here’s a close-up of her lovely face-up. I’ve re-dressed Lily so many times that I’ve become a pro at it, but it’s still an arduous task every time. Be careful with wearing the neckband too long. The brown fabric might cause staining if left on for too long. The little loop at the top of the overskirt is very delicate. However, it’s much easier to close the loop and THEN do up the zipper than the other way around. And here she is dressed up (sans armor) wielding Excalibur. She’s beautlifully executed and her clothes are very well made. There are many other blogs out there with detailed photos of her armor and other bits so I don’t really feel a need to over-document this girl. 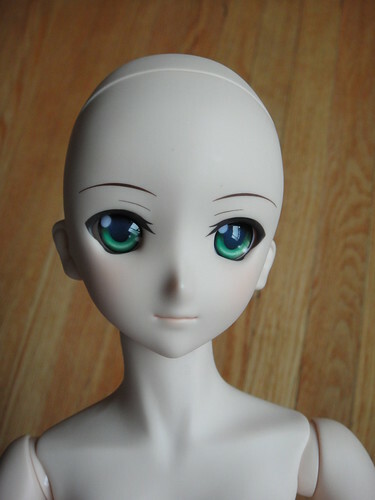 She’s really stunning though, and I’m slowly getting the hang or fiddling with the Dollfie Dream body. This entry was posted in Doll Box Opening, Dollfie Dream, Uncategorized and tagged Dollfie, Dream, Fate, Lily, Night, Saber, Stay, Volks by archangeli. Bookmark the permalink.